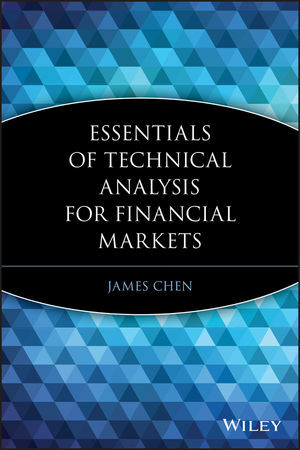 Essentials of Technical Analysis for Financial Markets is an all-encompassing handbook on navigating the financial markets successfully using technical analysis. Clearly written, easy-to-understand, and straightforward, this guide focuses on the key information needed by traders and investors to take on any financial market effectively. With financial markets in "roller coaster" mode, technical analysis offers a unique advantage for managing risk and finding high-probability trading opportunities. Packed with insightful tips and guidance, Essentials of Technical Analysis for Financial Markets provides proven trading strategies from one of today's top technical strategists. JAMES CHEN, CTA, CMT, is Chief Technical Strategist at FX Solutions, a global leader in foreign exchange trading. An expert on technical analysis and financial market trading, he is also a registered Commodity Trading Advisor (CTA) and a Chartered Market Technician (CMT). Mr. Chen contributes daily and intraday technical analysis to key financial media, is a frequent speaker at trading seminars, and has authored numerous articles on trading strategies and technical analysis in major financial publications. His previous book, Essentials of Foreign Exchange Trading (Wiley), has become an industry-standard guide for currency traders.